Fujifilm 3D camera, the FinePix REAL 3D W3 has been taken to the International Space Station (ISS) by the European Space Agency (ESA) to record vital images of the work being undertaken at the ISS. Recognizing the vast depth of knowledge and technological prowess that Fujifilm possesses with regard to 3D images, the ESA decided to take along the FinePix REAL 3D W1 on its MagISStra mission in 2010, and was so pleased with the results that it took the latest model, the W3, on its most recent mission. The REAL 3D W3 took to the skies on December 21. 2011 aboard the Russian spacecraft Soyuz 29S (TMA-3M) bound for the International Space Station, where it was used to capture realistic images of the various activities being carried out by astronauts at the Station. In August 2009, Fujifilm released the FinePix REAL 3D W1, the world’s first camera capable of capturing natural 3D images that can be viewed on an LCD display monitor without the need for special glasses. 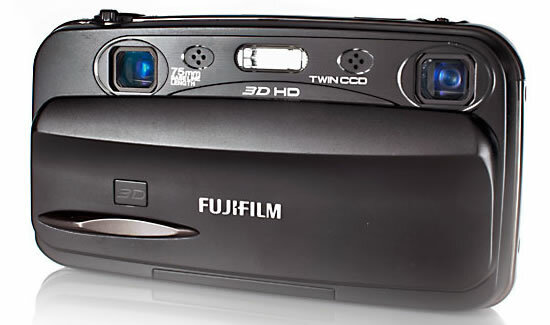 In September the following year, Fujifilm launched the FinePix REAL 3D W3, which enables users not only to take three-dimensional images of precious moments, but also to view the images in 3D. The current mission to the ISS, designated the PromISSe mission, will be completed in May this year, but the FinePix REAL 3D W3 will remain aboard the ISS to document vital images that will be relayed back to the ESA.